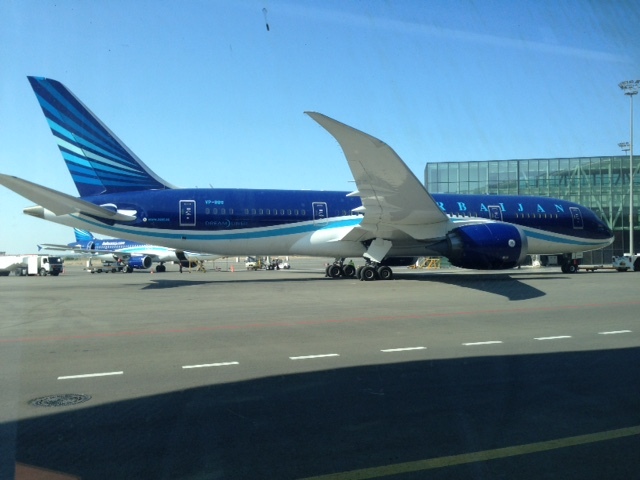 I flew from JFK to Israel via Baku and had very positive experience with Azerbaijan Airlines. JFK-Baku the plane was a quarter full so I had 4 seats to myself. It was a new and clean airplane. I was served kosher food even though they say on their website it's not available on that flight. The airport in Baku is brand new, free wi-fi, again almost empty. Flew from Ankara to Heathrow via Baku. 1st leg business 2nd leg economy. At Baku the check-in clerk asked us for extra money (for him) or else he would not be able to seat us together as the plane was full. We declined and were given seats nowhere near each other. However the plane was at least half empty including the seat next to my husband and 2 seats next to me! His actions did not reflect well on the airline which was otherwise very good. Staff on board very good but terminal staff not so. Have tried to complain to airline but keep getting sent round in circles. Living in Baku Azerbaijan Airlines is often the cheapest and they code share with Qatar & Pegasus. Flights to My son and I flew from NYC USA to Aktau Kazakhstan and back on this airline. It was an excellent experience. The staff were professional no lost baggage issues. Meals were fantastic. I highly recommend using this airline. 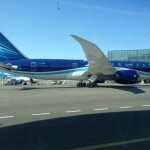 Living in Baku Azerbaijan Airlines is often the cheapest and they code share with Qatar & Pegasus. Flights to Dubai quick and easy - although they seam to gate at the furthest gate in Dubai. It usually takes 2 hours to go through customs. There is always some kind of hot meal with local cheese. They usually have wine but not other alcohol. Flying to Tbilisi you are sometimes lucky and are put on the Qatar flight that flies Doha-Baku-Tbilisi. When using AZAL to connect to Pegasus (a large low cost carrier out of Istanbul) run to the transfer desk as AZAL does not ticket you through and everyone on the plane will need a transfer ticket. Also be aware that when you come back to Baku you will have to wait at the AZAL desk. People are seldom connecting to AZAL and on both occasions I have been the only one waiting at the transfer desk with no personnel for about 20 minutes. Don't plan any short connections as AZAL will not ticket you through on Pegasus. I have tried multiple times to register for their frequent flyer program online but it makes little sense and I have been unable to figure it out. You fly AZAL because it is usually direct and less expensive. I would hesitate to take them on a long haul flight. They are adding new planes and the new airport is incredible. Passengers' comfort should be the priority. I found on many occasions too many distractions from other passengers family members or friends visiting the business class section frequently. There should be a certain protocol like on all other airlines I have taken whereby visits to business class or the first class cabin are very restricted. I observed a certain irritation and anxiety with many passengers during my last trip when we had children running into the cabins from the other cabin and family members greeting chatting openly to friends or acquaintances in the business class cabin throughout the journey. Most business travellers pay a premium to get their rest or sleep and the constant movement within the cabin is most disturbing. The cabin crew needs to be given more authority to maintain it. Otherwise a very good Airline with great potential. 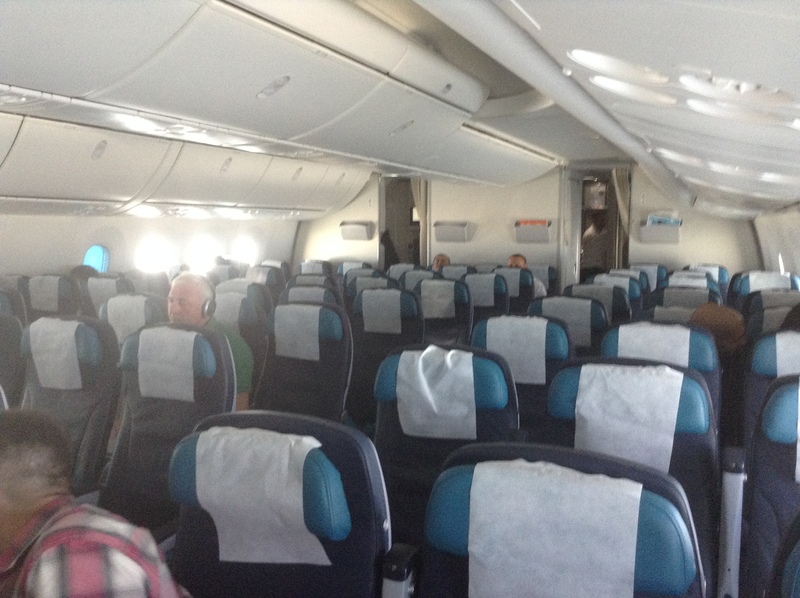 IST-GYD-IST on B767 very nice and spacious aircraft for such a short flight of 2hrs 40mins. Good selection of food 3 choices of veal / chicken / fish. Professional (I would not say friendly) and helpful staff. Nice IFE with good selection but a little outdated. On the return (morning) flight was fully booked. Breakfast had 3 selections of omelette / sausages / pancakes. Good experience but limited destinations of the airline. I would use them if they offer the destination that I would want. Soon they will start Beijing with A340-500. DXB-GYD on AZAL 757. An old and well used aircraft but perfectly comfortable for 2.20 flight. Crew very friendly. 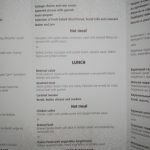 Only downside was the on board food which wasn't good at all but I had fairly low expectations and ate in the airport before the flight so this wasn't a problem. I wouldn't actively seek out an AZAL flight over other airlines but equally if they were the best option I wouldn't have any issues flying with them again. I fly frequently London-Baku-London Baku-Ankara-Baku and find AZAL very comfortable and a fair price in comparison with BMI. 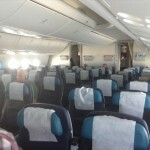 Cabin crew friendly business class service and overall experience is very good. Flights are mostly carried on times and with great professionalism from the pilots. I'll continue using AZAL in future. We booked the flight via Air France as a codeshare. For some reason we were not in the Azal system. While the staff were kind it took a while to resolve this and there were some moments where we weren't sure we would be allowed on the flight. Azal needs to work on their codeshare process with Air France. Once our problem was resolved and our boarding passes issued everything was great. Kind cabin crew very clean plane and meals served onboard. We flew between Paris and Baku return. The service was excellent. 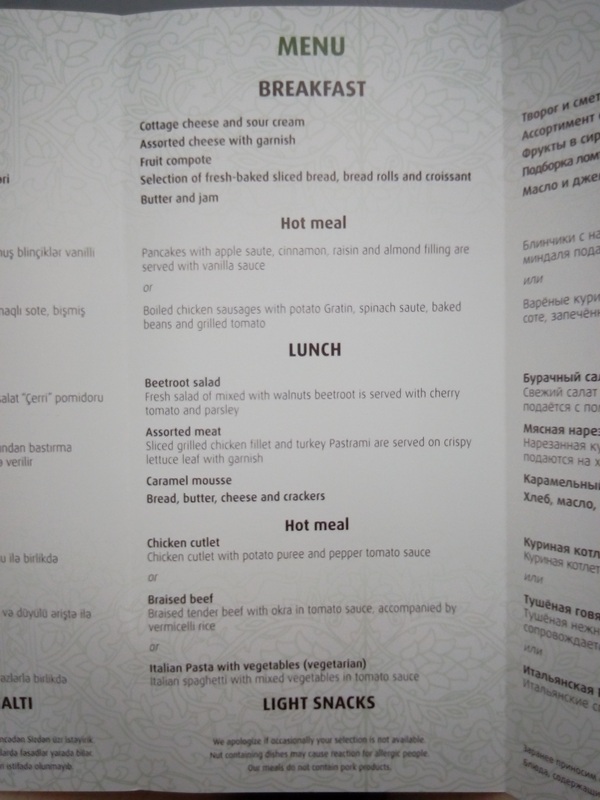 The food (hot lunch on the way to Baku and hot breakfast on the way back to Paris) very good to excellent much better than on North American airlines. It was our first time on this airline and I would fly them again.